Hello! 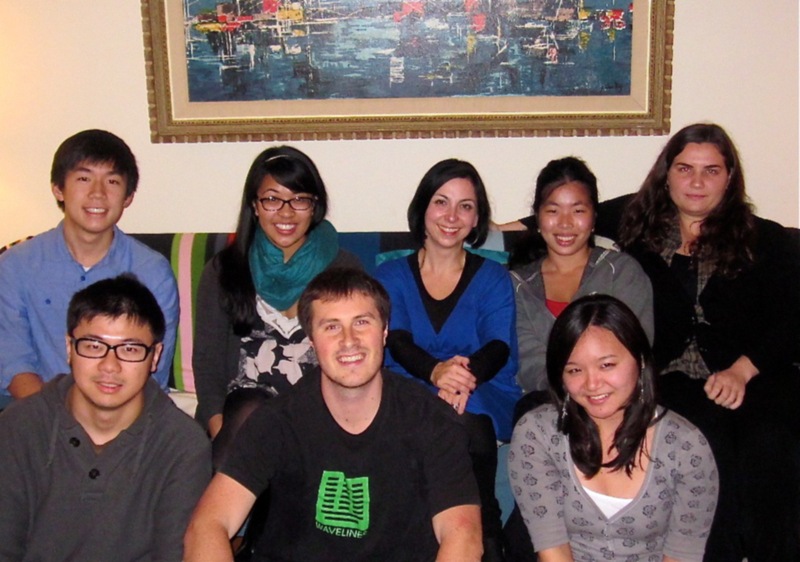 This is Cindy, and I am a research assistant at the Saygin Lab of Cognitive Neuroscience and Neuropsychology. I’ve been doing this for a few quarters now, and it’s been a great experience. You should join me! Being a research assistant for the Saygin Lab really solidified why I became a cognitive science major. I switched into it not really knowing what my major was about, but through the weekly lab meetings and conversing with others, I came to realize how lucky I was to have stumbled upon UCSD’s diamond in the rough. I knew about the work that our lab does beforehand was because I am a chronic frequenter of geek websites, such as Cracked.com. Although perhaps not the most established forum, it often brings up sci-fi related research, such as was being done in the lab. Robots are a common topic, and the phenomenon of the Uncanny Valley inevitably came up. Imagine how surprised I was when I was reading up on the research opportunities at the CogSci department at UCSD, and found that that research had been accomplished by one of the professors! I sent in an application and was ecstatic when I was accepted. I didn’t know what I was getting myself into, since my pre-med friends were always going on about how they created buffer solutions in chem research or cut up rats in bio research. Turns out that the experiments I was running for my grad student researcher was most like psychology research. Luke (the grad student) had us running a two session, two hour each experiment, which was not the most interesting thing I’ve ever done. When I talked to him about what I was collecting data for though, that was what was the exciting part. The overarching theme was something about embodied cognition and how we projected ourselves in space. 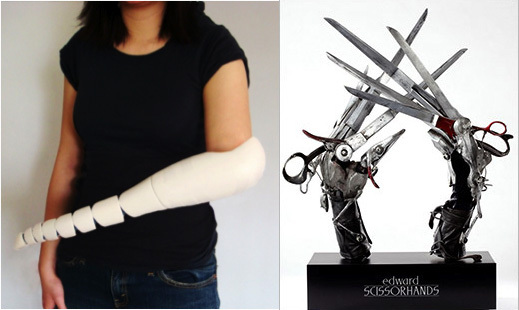 For example, how do amputees see and feel about their prosthetics? It’s not technically a part of them, yet it should ideally function just as well or even better than what the respective limb did. 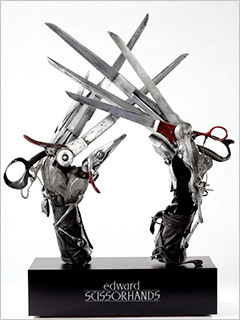 He went on to do some research concerning a large plastic hand, similar to Edward Scissorhands. 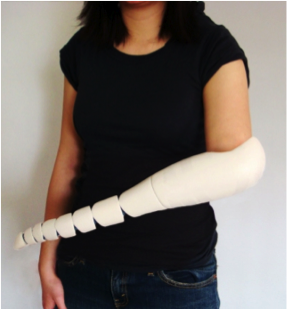 I did some external research and thought that this particular invention, a prosthetic arm that biomimics an octopus arm would yield interesting results pitting conventional arms vs. functionality. How would these affect the self-perception of a human? Lab members attend mini symposiums and conferences about where advances in cognitive science could lead to (in regards to technology). One that I was able to attend concerned the future of brain-computer interfaces or BCIs. Most of the technical engineering talk was lost on me, but the main thing I came away with was that pretty soon, we will be able to manipulate objects with our “minds.” This lead me to do some other outside research, and I found this prototype fashion accessory being demonstrated in conventions around the world: Necomimi Cat Ears. Its claim to fame is that it can change shapes when the wearer is focused or relaxed. This seems like an extraordinarily trivial application of this technology, but the concept is the same as more serious uses of BCIs. It is using EEG waves produced by the brain to control objects that aren’t necessarily part of a body. 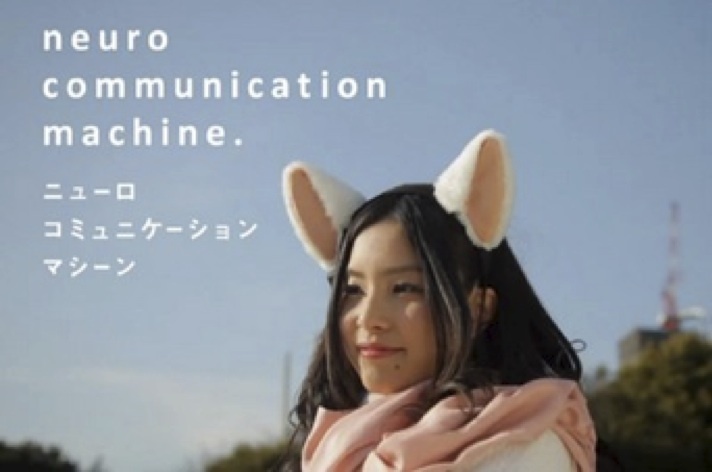 An application of BCI technology: Wiggle your cat ears with your brain waves! The coolest thing about researching in this lab while being a CogSci major was probably seeing how this current research was being taught in our classes. The fMRI book we discuss in meetings have direct repercussions on what I’m learning in my neuroscience class, and knowing that there’s still much debate going on whether cognition is distributed or specialized puts a whole different spin on my distributed cognition class. It’s also opened up a lot of doors. This summer, I advised a couple high school students getting their first taste of research and during the school year (we will have another blog post about that soon), I will be in the process of completing the Cognitive Science Honors Program. I hope this has convinced you to do research as an undergrad! Use your four years wisely. This entry was posted in Academia, BCI, Biological motion, Body representation, Cognitive Science, Humor, Lab, News, Student, Uncanny valley on 19 September, 2012 by asaygin.